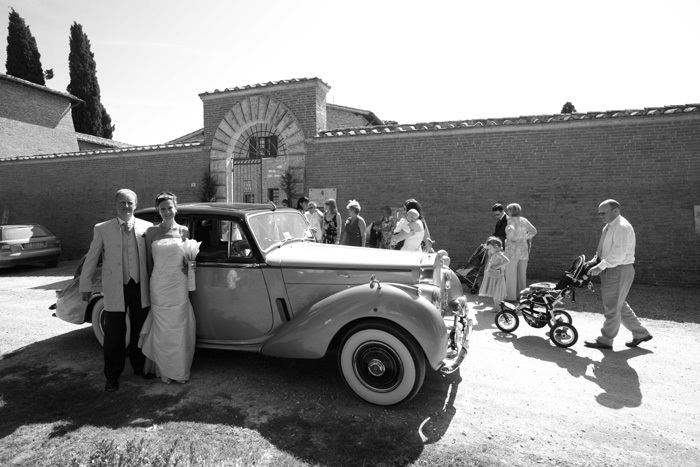 Located on the Sienese hills, this castle is one of our dream wedding venues in Tuscany. It's origin: from 13th century, this unique tuscan wedding castle was once the residence of the prestigious Chigi family. Recently it has been beautifully renovated into an exclusive 21 room hotel offering anattentiveandsuperb service. All rooms are furnished with antiques and the castle features charming interiors. 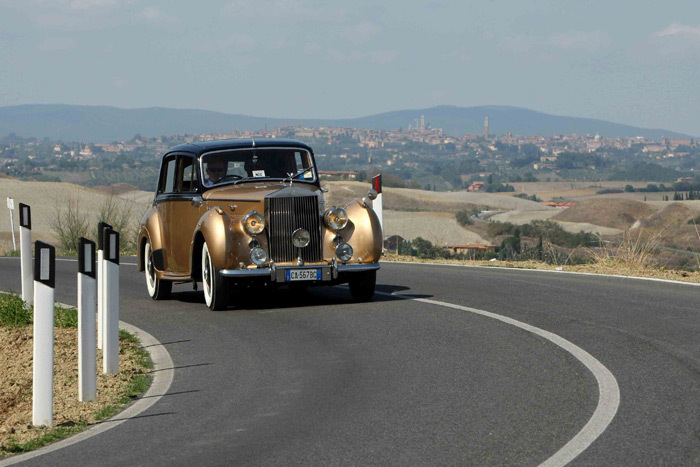 A delightful venue for your wedding in Italy. 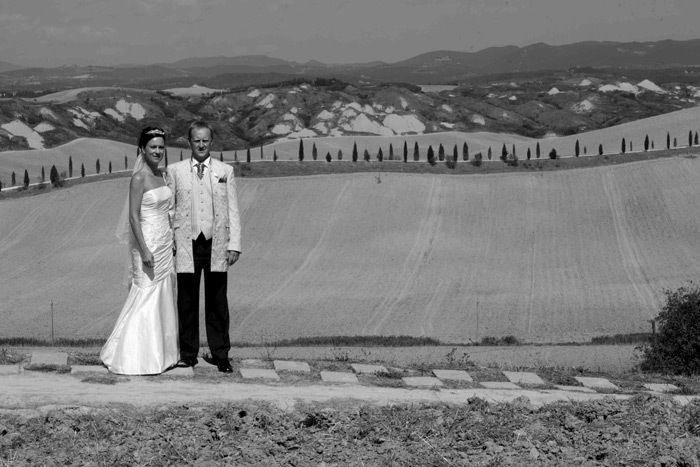 With views all the way to Siena's Duomo this wedding venue is completed by a swimming pool set amidst olive groves and a wellness centre. To make your stay even more unforgettable the fine restaurant offers the best of Italian and Tuscan cooking accompanied by a wide selection of wines. 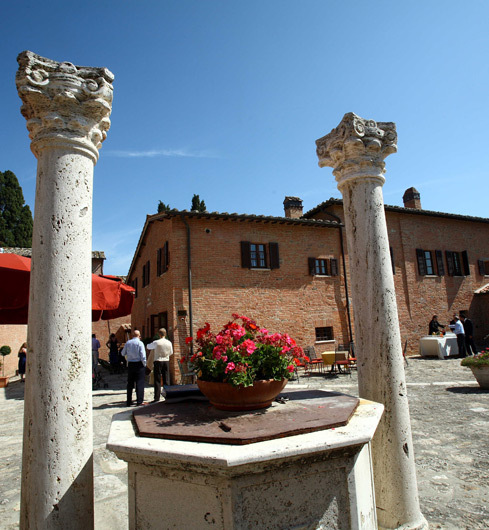 Your civil wedding ceremony can take place in one of nearby town halls: Rapolano Town Hall or Siena Town Hall. 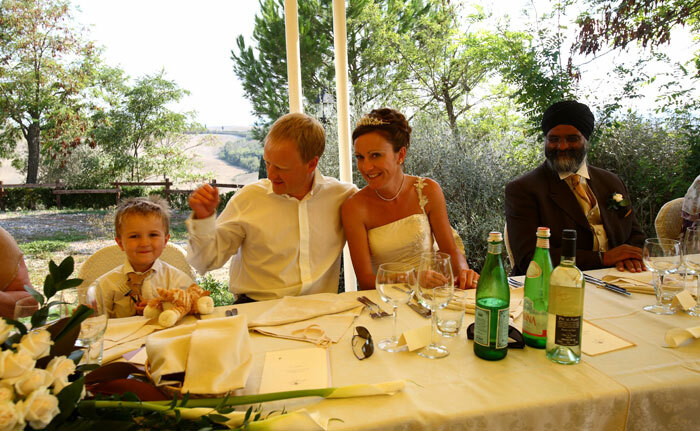 A Catholic wedding ceremony is possible in one of the Churches in Siena. The Chapel on the estate may be used for a Symbolic blessing or Religious wedding or for your Anglican or Protestant wedding. One can enjoy a wedding dinner reception inside in the reception hall (up to 120 guests). Otherwise the wedding dinner reception can be organised on the courtyard inside the Castle walls, with peculiar lighting of the castle which creates a perfectly romantic atmosphere. 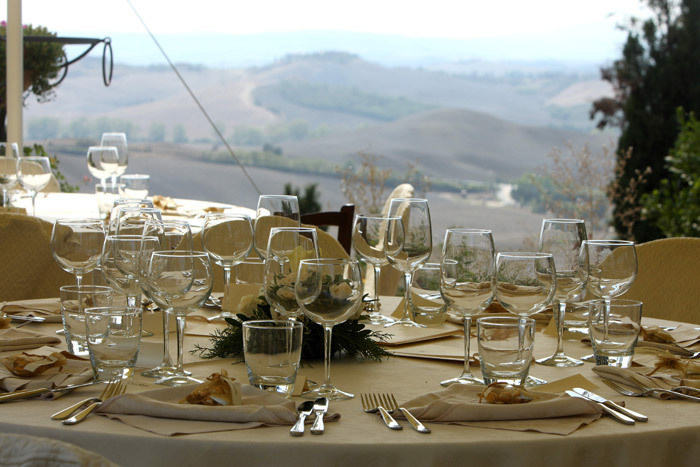 The wedding reception aperitif is splendid on the top of the hill terrace with beautiful panoramic view on surrounding Tuscan hills. Florence: 1 hour 40 min. Pisa: 2 hours 30 min. Rome: 2 hours 30 min.